Sea Fever Sport fishing can cater to your preferred method of sport fishing whether it is trolling, casting, or drifting, or you prefer fishing with artificial, live or cut baits. 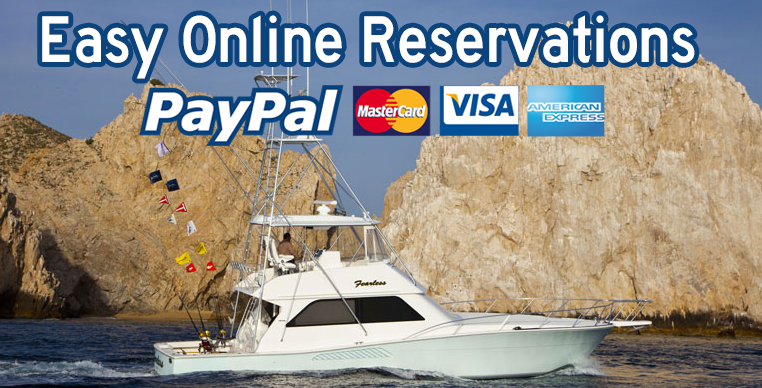 In Cabo San Lucas sport fishing you must go after Marlin, Mahi-mahi, Wahoo, or yellow fin tuna, Our Expert knowledgeable crews are at the top of the ranks in Cabo San Lucas fishing charters Sea Fevers sport fishing will make your fishing experience a memorable one. 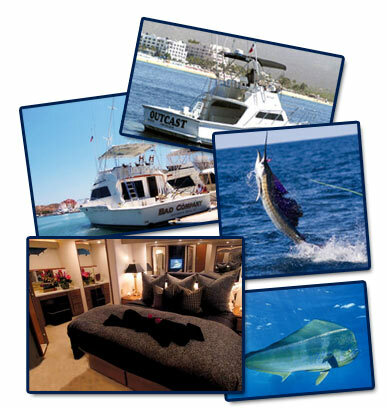 We have charters for half-day or full-day outings, or even multi-day fishing excursions with on-board living accommodations. Sunset cruises, Dinner cruises, sight seeing, and even yachts cruises for the special moment in your life. Let our experts be your guides! Our boats are equipped with fighting chairs for the larger blues and other game fish plus the latest fish tackle for the chair or stand-up. All tackle is in the 30# – 130# class and is in top working condition. All boats are equipped with outriggers, live bait tanks, the latest in Penn rods and reels, plus all of the Marlin, Tuna, Wahoo, and Dorado lures you need. In addition, the boats are equipped with shade and facilities (restrooms).